The post Manali to Leh Bus Service – Timings, Rates & FAQs appeared first on Devil On Wheels™ written and copyrighted by Dheeraj Sharma. More and more people are preferring public transport when traveling to Ladakh to reduce the overall budget of the Ladakh trip. So, the questions like “Can I reach Ladakh using Manali to Leh bus service?” are not surprising. When you travel from Manali to Leh by bus, it helps you experience the journey to Ladakh in a different way. 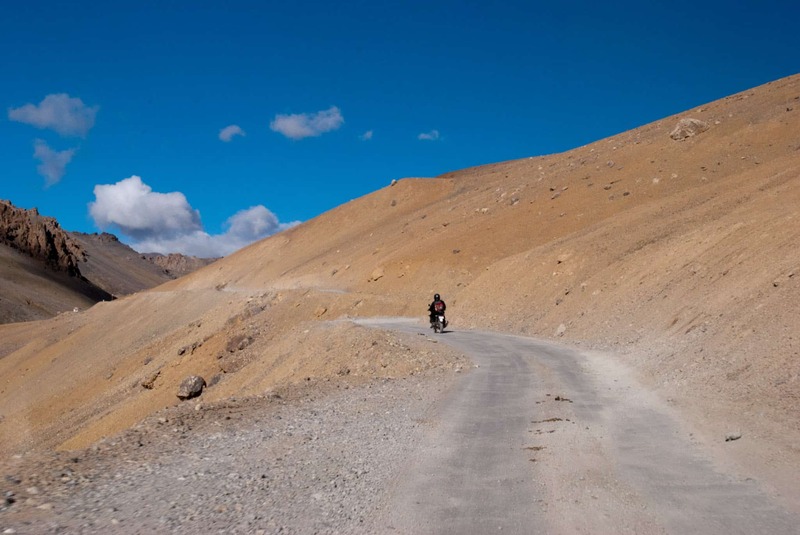 So, you get to save the cost of your Ladakh trip along with experiencing a local way to travel from Manali to Leh. The method of using public transport is very common among many couples or solo travelers in Ladakh. Why do you need to use Manali to Leh Bus Service? The rates of private taxis when you travel from Manali to Leh is about Rs 18000 for a two day trip over Manali Leh Highway. If you are traveling from Delhi to Manali then include the cost of travel between Delhi and Manali too. So, the overall taxi cost from Delhi to Manali to Leh will cost you about Rs 28000-30000. In no way, the private taxies in Ladakh are cheap. Even the taxis running over Manali Leh road are costly if you are are traveling in a small group or solo. Hence, people on a low budget need to find alternate ways to travel to Leh from Manali without spending too much money. 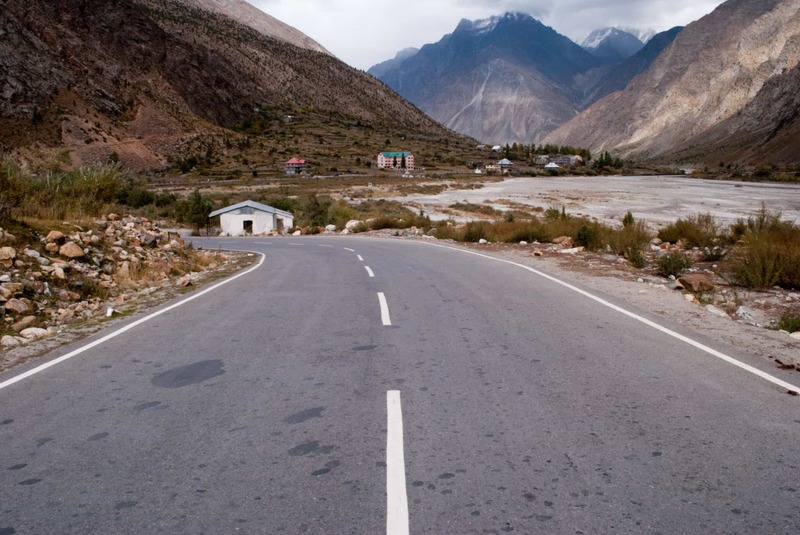 So, what are your options for sightseeing on Manali Leh Highway and reach Leh from Manali but do all of it on a budget? Thankfully, as so many people visit Ladakh in the season time, the roads are filled with tourists even in Manali. You may find travel partners in Manali, especially in Old Manali and near bus stand where people look out for others to share taxi cost of Manali Leh trip. However, if you want to make a trip to Leh from Manali, you will have to spend Rs 18000 – Rs 19000 for the private taxi. Even if you get five people to share the cost of this private taxi to Leh from Manali, it means you have to spend Rs about Rs 3600 – 4000 each for a two day trip to Manali to Leh in a private taxi. Some people travel on a low budget and prefer public transport to also experience the local way of commuting. Spending Rs 2000-3000 just for transport to one place in Ladakh could be a decent portion of their complete budget of a trip to Ladakh. So, let me share the details with you about the bus service that runs between Leh and Nubra Valley including the bus schedule, timings, and the bus ticket fare. Wait, before we understand public transport buses from Manali to Leh, let us first understand what places of sightseeing exist on Manali Leh Highway. It will help you then understand how you can plan the trip to Leh from Manali and which buses options should you be choosing. The Manali Leh bus route runs through these important places of interest on your Manali Leh journey. I will not duplicate the details of them in this article but mainly you will pass through these five high altitude passes Rohtang Pass, Baralacha La, Nakee La, Lachulung La, Taglang La. Apart from these passes, other places of interest are Keylong, Sarchu, Pang, Gata Loops, Moore Plains on Manali Leh Highway. 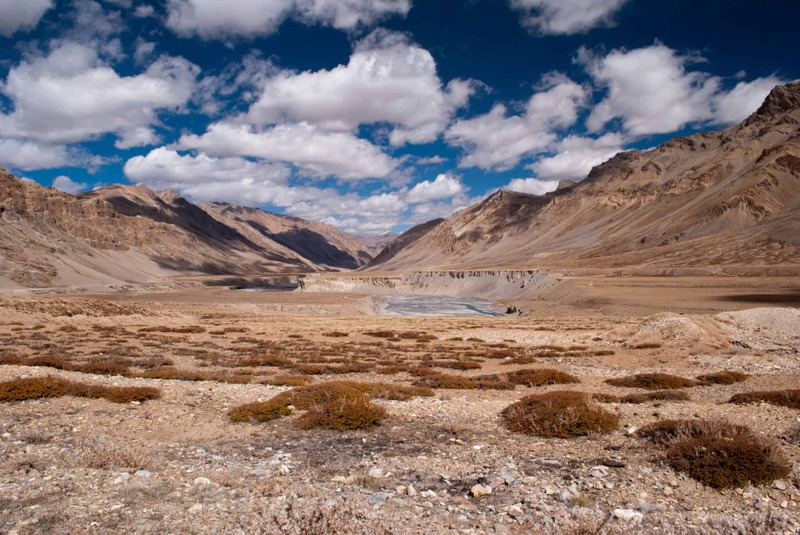 So, you can see that there is quite a bit of sightseeing that is there on a journey from Manali to Leh. Knowing about them will help you choose from the options of Manali to Leh bus services run by HRTC, HPTDC, and private operators. So, do read the article linked above. Now that we know what is present on Manali Leh Highway. Let me start with the details on bus services on Manali Leh route along with the schedule and timing of the buses running from Manali to Leh. On Manali Leh Highway, there are few types of bus services that run. Both HRTC and HPTDC run their bus services on Manali Leh route. While the HRTC offers the standard buses of state transport department for the general public, the HPTDC offers a semi deluxe minibus service especially for tourists traveling on Manali Leh Highway. Being a tourist bus, the HPTDC Manali Leh bus will stop at all tourists spots and mountain passes that comes on the way from Manali to Leh. This bus service is run by HP Tourism department every year starting from 1st July to 15th September in the tourist season. However, the ordinary HRTC bus will not stop for any sightseeing on Manali Leh Highway and will run from Manali to Leh point to point. However, HRTC Manali Leh buses stop for mandatory food and daily routine stops though. Apart from HRTC and HPTDC Leh Manali bus services, there are many private operators in Manali who run the tempo travelers and deluxe mini-buses on Manali to Leh with an overnight stop at Keylong or Jispa. These privately run Manali to Leh buses also stops for sightseeing because only tourists travel in them mostly. The HPTDC Manali Leh bus covers the journey of 474 KM long Manali Leh Highway in two days with an overnight halt at Keylong in HPTDC Hotel Chandrabhaga. The HPTDC Manali to Leh bus leaves from Manali at 10.00 – 11.00 AM based on the published schedule of the season (available at official HPTDC website) and reach Keylong by the evening around 4.00 – 5.00 PM. The bus then halts overnight at Keylong. Next morning, the bus leaves Keylong to Leh around 4.00 – 5.00 AM and reaches Leh by 7.00 PM in the evening. The total Manali Leh bus service travel time comes out to be about 17-19 hrs over two days in HPTDC bus. The HPTDC bus from Manali to Leh starts at HRTC bus stand in Manali and drops the tourists at JKSRTC bus stand in Leh. Similarly, this HPTDC Leh to Manali bus service runs in the opposite direction. The bus will start from Leh at 5.00 AM in the morning and reach Keylong at 7.00 PM. It will take an overnight halt at Keylong. Then the bus leaves at 7.00 AM from Keylong and reaches Manali around 1.30 PM. The HPTDC Manali Leh bus starts at J&K Bank/ Tourist Information Centre, Fort Road in Leh and drops the tourists at HRTC bus stand in Manali. HPTDC publishes the Manali to Leh bus service schedule & timings on its official website every year in May before the season begins. Hence, it is recommended that you always check this schedule of the HPTDC bus service from Manali to Leh before planning your trip dates. The total one-way Manali to Leh bus fare of HPTDC bus service is Rs 2900 which includes dormitory accommodation, a dinner and a breakfast at HPTDC Hotel Chandrabhaga. Hence, the total price of traveling from Manali to Leh by bus and back to Manali from Leh using HPTDC bus service is Rs 5800 per person including night stays & meals at Keylong. There are not many options to stay at Manali Leh Highway. Keylong and Jispa are the two best options to spend the night between Manali to Leh in terms of acclimatization. 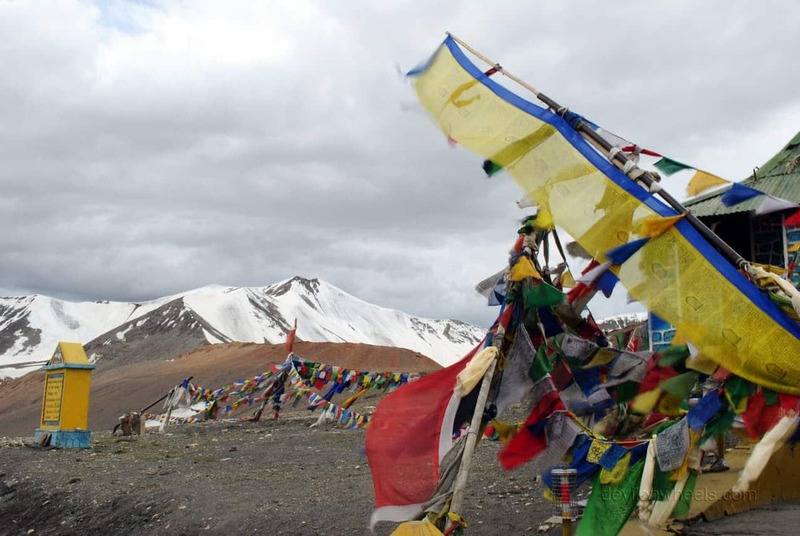 Sarchu does have camps available including the Swiss luxury camps and Pang offers some makeshift dhabha camps/tents. The bookings of HPTDC semi-deluxe bus from Manali to Leh to Manali can be done online using HPTDC official website. So, Manali to Leh bus online booking is available easily. The HPTDC Manali Leh bus booking can also be done at the HPTDC offices in various cities including New Delhi and Manali. There are two HRTC buses that run from Manali to Leh. The newly launched HRTC daily direct bus service from Manali to Leh in 2018 and the other one being regular bus service between Manali – Keylong and then Keylong – Leh. In 2018, HRTC started a new direct bus service from Manali to Leh. The bus runs do not stop overnight from Manali to Leh. This daily HRTC direct bus leaves from Manali at 4.00 AM in the morning and it reaches Leh around 8.30 – 9.00 PM. This direct HRTC Manali to Leh bus time is 17 Hrs to reach Leh from Manali directly. This direct bus from Manali to Leh is available daily from HRTC bus stand in Manali. The one way fare of this direct bus service from Manali to Leh is Rs 833. As the bus service is going to take you all the way from Leh to Manali in one day or in fact over a span of 17 Hrs, it will indeed be a torture on the body. Of course, you will face the AMS issues and might be feeling sick upon reaching Leh. It is always best to stay overnight at Keylong. However, if you do not have any other option, better know the risks and keep yourself adequately hydrated. The other option to travel from Manali to Leh by bus is to take the HRTC bus from Manali to Keylong first, stay overnight at Keylong and then next morning take the daily bus from Keylong to Leh. The daily bus from Manali to Keylong leaves at 8.00 AM and reaches Keylong by 2.00 PM. And, the daily HRTC bus from Keylong leaves at 5.00 AM and reach Leh by late evening. The bus fare from Manali to Keylong is Rs 174 while the bus fare from Keylong to Leh is around Rs 550. Hence, using the ordinary HRTC bus service for Manali – Leh – Manali trip, the return bus fare will be around Rs 1600-1700. If you decide to make a two day trip from Manali to Leh by sleeping overnight at Keylong then you have to account for a couple of meals and hotel stay at Keylong. The HRTC bus bookings from Manali to Leh or Manali to Keylong can be done online using HRTC official website. However, the bookings for Keylong to Leh bus service by HRTC cannot be done online. One must buy the tickets at Keylong HRTC bus stand. There is a direct Delhi to Leh bus service by HRTC that runs from ISBT Kashmere Gate, New Delhi at 2.30 PM every day. This bus from Delhi to Leh covers the total distance of 1050 km in about 35 Hrs. This direct bus stops overnight at Keylong and covers this Delhi to Leh journey in 2 days from Delhi. So, when traveling by Delhi to Leh by bus, you save a day as the HRTC Delhi Leh bus travel time is two days with an overnight stop at Keylong. Please keep in mind that with the fatigue of such long journey, you may indeed suffer from acute mountain sickness on Manali Leh Highway. This HRTC Delhi Leh bus starts from Delhi at 2.30 PM and reaches Chandigarh Sec 43 bus stand at 8.30 PM. From Chandigarh, the bus starts for Kullu and reach Kullu in the morning around 5.30 AM. Finally, it goes over Manali – Rohtang Pass road from Kullu and reaches Keylong around 2 PM for the overnight stay. Next morning, the bus leaves from Keylong at 5 AM and reaches Leh by sunset. Hence, you can choose the pickup points at Chandigarh, Kullu, Manali and Keylong as well based on seat availability or your bookings. In the opposite direction, the HRTC bus starts from Leh at 5 AM and reaches Keylong by sunset for an overnight stay. 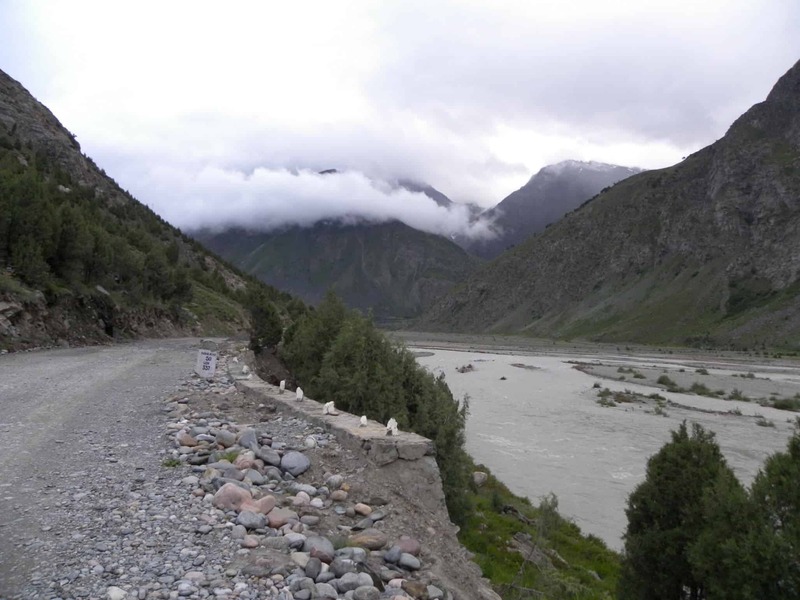 Next morning, it starts from Keylong at 6.30 AM to reach Delhi by 3.30 AM in the night. There might be a change in the bus once at Keylong and the bus driver changes twice, one at Sundernagar and the other one at Keylong. The total bus fare for Delhi to Leh direct bus service is Rs 1380. Hence, a return journey in this direct HRTC bus service from Delhi to Leh and Leh to Delhi will cost you Rs 2760. You can book the tickets for this direct bus from Delhi to Leh at the HRTC ticket counter at Delhi, Kashmere Gate ISBT terminal. Strangely enough, Delhi to Leh bus online booking is not available yet. Hence the bus tickets for Leh to Delhi bus service cannot be booked online yet in the new HRTC bus ticket booking website. These tickets can only be purchased from the ticket counter at Delhi or Leh bus stand. Well, this Delhi – Leh HRTC bus runs over the ultra-scenic Manali Leh road. But, unlike HPTDC bus, the HRTC Delhi – Manali – Leh bus does not stop over all the tourist’s locations but few. This Delhi to Leh bus covers the journey of Manali Leh highway passing over five high altitude passes viz. Rohtang Pass, Baralacha La, Nakee La, Lachulung La, Taglang La. The bus also stop over at various dhabas on the route to have food and tea/snacks. This allows you as a tourist to enjoy the beauty of Manali – Leh Highway and take pictures on the way as well at these stops. It is always better to buy the ticket for the Manali to Leh bus services in advance or online to avoid any last minute hassles. Below is the summary of bus prices for different Manali Leh Manali bus services. Let us look at some of the most frequently asked questions about Manali to Leh bus services. 1. Is there any other way to travel to Leh from Manali if I miss the bus? There are plenty of buses or travel options that run between Manali and Keylong. If you miss the HRTC bus from Manali, you can always reach Keylong from Manali either by other buses or shared local jeeps. 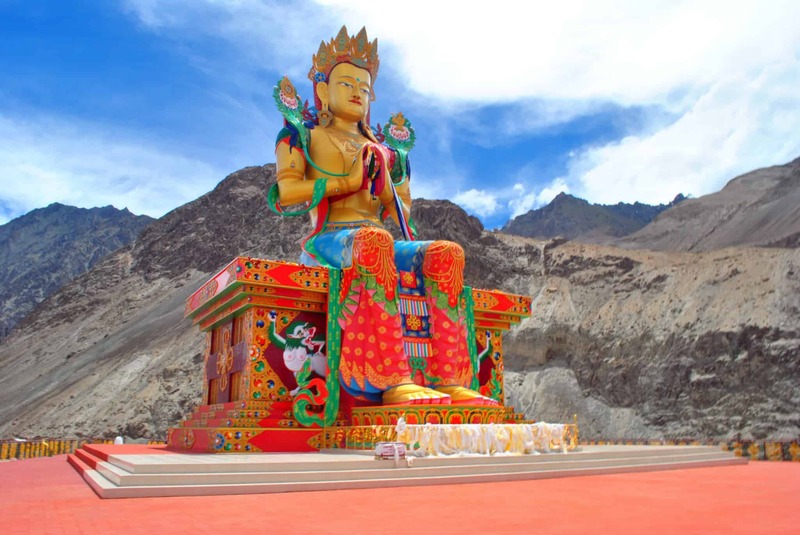 Once, you reach Keylong, you can take the next morning bus from Keylong HRTC bus stand or shared local jeep from Keylong to Leh.Apart from the HRTC buses, private tour operators also run buses between Manali to Leh. Finally, you can also look out in old Manali for other tourists to share private taxi costs.If you miss the HPTDC bus from Manali, you can reach Keylong and cover the rest of the journey from Keylong to Leh on your reserved ticket.Finally, if you miss the HRTC bus from Delhi to Leh, then you have to reach the next stop where the bus will arrive before its departure time to catch it else take the next day HRTC bus to Leh from Delhi.If nothing works, hitchhiking on Manali Leh Highway will be your last option. 2. How much time will the bus take to reach Leh from Manali? Manali to Leh is a 474 km long journey and the direct bus from Manali to Leh takes about 17-18 Hrs. Other buses including the HPTDC bus service covers the journey from Manali to Leh in two days with an overnight stop at Keylong. 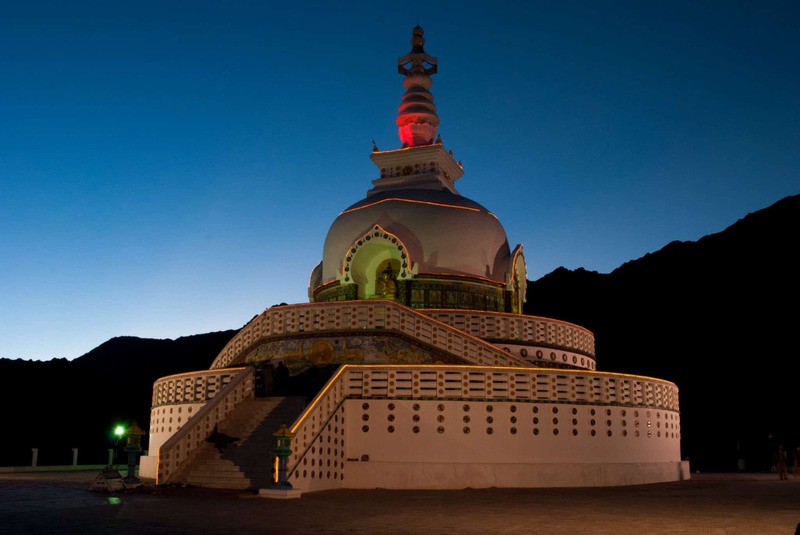 The bus from Delhi to Leh also takes two days with an overnight stop at Keylong. The total distance of 1050 km from Delhi to Leh is covered by the HRTC bus in 35 hrs. 3. Can I do pre-bookings for Manali to Leh bus service? For HRTC buses, you cannot do any prebooking for Manali to Leh HRTC bus service or Delhi to Leh HRTC bus service. These are ordinary buses run by state HRTC department of Himachal Pradesh. However, the direct bus from Manali to Leh is available for booking via the new HRTC bus booking portal. When it comes to booking the Manali to Leh HPTDC bus service, you can book the deluxe bus tickets online using the HPTDC official website. You may also visit HPTDC local office in your city including New Delhi or Manali and reserve the Manali Leh deluxe bus tickets. 4. Is it possible to book the Manali – Leh – Manali bus online? When it comes to HRTC, the Manali to Leh bus booking is not available online except for the direct Manali to Leh bus service. The HRTC Delhi to Leh bus service cannot be booked online as well as of now (Sept 2018). HPTDC Manali Leh bus service can be booked online using the HPTDC official website. 5. Is the journey on a Manali to Leh bus comfortable? The HRTC buses that run from Manali to Leh do not have much comfort and are standard buses. Hence, do not expect much and try to travel like a local. Some local travel agents do run tempo travelers but then you are looking for shared tourist taxis or tempo travelers which costs higher than these standard buses.However, when it comes to HPTDC Manali to Leh Bus service, they are semi-deluxe buses which provide the comfort of seating to an extent. They are better than HRTC buses but again comes with a cost. 6. Do these buses from Manali to Leh stop for any sightseeing on the route? As we learned in this article, there are two kinds of buses that run from Manali to Leh. One bus is run by HPTDC and other buses are run by HRTC. The HPTDC bus from Manali to Leh will stop at all the sightseeing places on Manali Leh Highway while the HRTC buses will not stop at all the sightseeing places. Sometimes, the bus from Delhi to Leh doe stop for some sightseeing to click pictures quickly at passes but I believe it all depends on the driver and his mood along with the number of tourists on the bus.The direct HRTC bus running between Manali Leh is already on a cannonball run of 17 hrs. So, do not expect these buses to stop for sightseeing against the race with daylight.However, you can try to a grab a right-hand window seat on Manali to Leh bus to capture some basic photos from the moving bus or enjoy the journey. The views will keep on changing from left to right but overall the right-hand side will offer you the most scenic views.Please note that the buses may stop briefly at high mountain passes though not all of them. Do not forget to take pictures quickly and board the bus back in time without going far away. I hope this article will help you learn about the bus services from Manali to Leh and vice-versa. Also, I have covered the bus services running from Delhi to Leh via Manali in this article itself to keep all the info under one hood. I have tried to cover most important FAQs towards the end but if you still have got any questions on making a trip to Leh from Manali by public transport, please feel free to post those questions in the comments section. Have you traveled on the Manali to Leh bus on your trip to Ladakh? I will be happy to hear about your experience in the comments section of the article. You can also follow me on Instagram and ask your questions in a direct message on Instagram too. I also conduct a weekly Q&A session every Saturday evening on Instagram. What Are The Benefits Of Using Online Trading Platforms?